Note : For 8 years old and above. 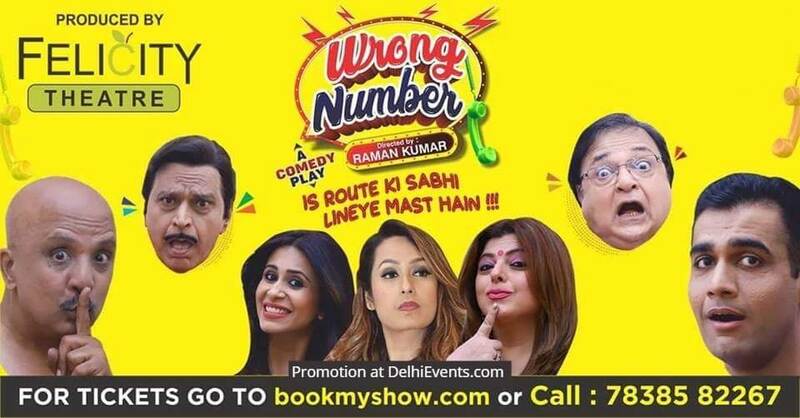 An ingenious, funny and brilliantly crafted masterpiece, ‘Wrong Number’ juggles time and space to present the lives and loves, passion and panic of three married couples in a play of love, laughter and mayhem. This rib tickling comedy with a large dose of Bollywood glamour is all set to enthrall audiences for the first time in New Delhi. 'Wrong Number’ follows three married couples whose lives are hopelessly entwined with confusions and suspicions. This outstanding theatrical brings together some of India’s finest film, television and theatre actors together on one stage.